Got any plans for today? You’d better not! Valencia’s Feria de Juliol is reaching it’s climax with more events than you could possibly attend to. Beach Rugby at Malvarrosa, next to the Las Arenas Hotel. Today from 10 am to 8 pm (we better get going) and tomorrow from 10 am to 4 pm. More info! Thank you Noakos for the times. Street performances and theater starting at 8pm throughout the city. We’ll probably be hanging around Plaza de la Virgin and Reina around 8pm for Samba, African and Mexican dance and acts. 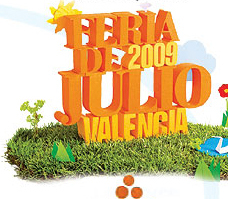 Feria de Julio continues until the 26th with many more events including our favorite La Batalla de Flores. Greenspace (location) is temporarily closing its doors for renovation, and has invited one of Spain’s best bands to headline the final concert on March 29th: Vetusta Morla. The sextet from Madrid won top honors in Spain’s Premios de la Música, earlier this year, and are held in high regard by critics. I discovered them about a month ago, on the recommendation of a indie-loving friend. Really great music, and I’m betting it sounds good live. Here’s a video for Copenhague, off their latest album Un Día en el Mundo. 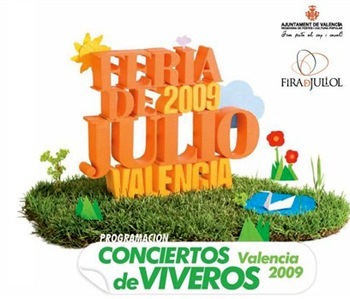 A few of the concerts for Fallas 2009 were announced a few days ago. As always, these shows will be taking place in the Jardin de Viveros (location), and are completely free. 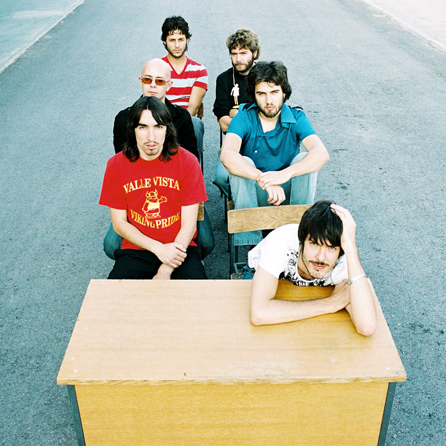 All of the concerts thus announced feature Spanish bands. On Friday, March 13th, Taxi and Presuntos Implicados rock the mic. And on Saturday, March 14th, you can get down to the sound of Seguridad Social and whatever Valencian band wins a competition called Circuit Rock 09. Seguridad Social is a popular band who started in the 80s, and had a huge hit called “Quiero Tener Tu Presencia” … a song whose words I memorized before I could understand the language. There are a limited number of invitations available, and the method of obtaining one not yet been announced. The concerts are being sponsored by Cadena 100, who advise fans to listen to their station to learn how to get the tix. Clever bastards. As soon as we learn how to get the tickets, we’ll advise — and if you find out before us, please write a comment and share with the community! UPDATE (06/03/09) I’ve found out, you can pick up invitations in the Cadena 100 Offices (Pasaje Doctor Serra, 2), El Corte Inglés (last year, I got them in this one), and the IVAJ (C/ Hospital, 2). Still no news as to what day you can pick them up … anyone else know? Also — I’m pretty sure there will be another concert announced for Sunday, the 15th. We’ll let you know as soon as we hear what it is.